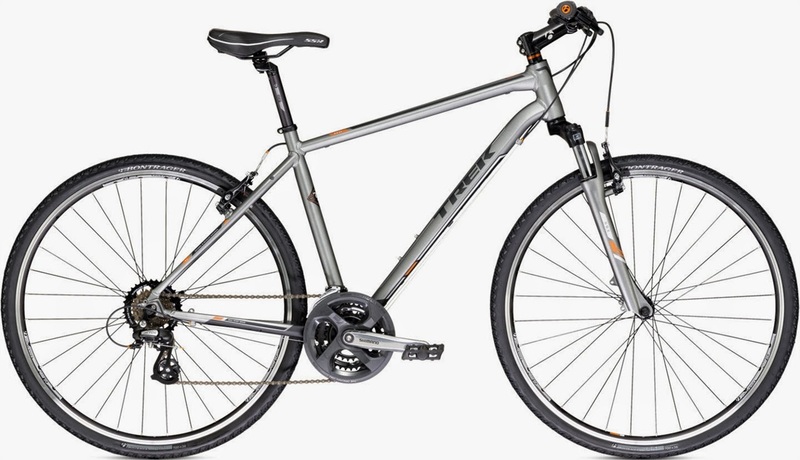 The 2014 Trek 8.2 Dual Sport Combines Everything You Need in a Bike in One Sleek Package. Where can you go on a bike? With the 2014 Trek 8.2 DS, the answer is "anywhere". Shimano Altus 7 speed shifters combined with Shimano- model Tourney front derailleur and Altus rear derailleur makes this perfect for the uphill, downhill, stop and go obstacle course of city riding. Bontrager LT1 tires mounted on a Formula FM21 alloy hub in the front, FM31 in the back, keep up top performance long after the sidewalk ends. And with a Bontrager SS1 saddle and two available color schemes, wherever you go on your Trek 8.2 DS, you will go in comfort and style. The 8.2 DS combines different elements from more specific bike types to give the rider a perfect hybrid bicycle. The sturdy yet lightweight frame gives it the appearance of a mountain bike, and indeed it handles off-road with the best of them. The fork and rear dropouts are both equipped with disc mounts, making for easy modification for someone who wants to get even more all terrain performance out of this bike. The thinner wheels however, resemble a road bike and make for smooth riding on street and sidewalk alike, which is sure to delight the commuter or casual rider, and offers no problems in terms of speed or durability on longer rides. Despite their thinner size, the tires provide plenty of traction, adding to the overall versatile nature of this bike. This combination of strengths makes it a great choice for someone who needs one bike to do it all, or a beginner who still isn't sure where their journey will take them. Online review site The Bike Affair calls the relaxed posture and comfortable seat and handlebars "perfect for the casual rider". The Cycle Centre blog says Trek has "a winner on their hands as far as creating a good all-rounder". And Beaconcycling.com proclaims "This go-anywhere machine is road-bike fast, hybrid-bike capable, and fun anywhere." With reviews like these, it's easy to see why the Trek 8.2 DS is one of the top hybrid bikes among bicycle enthusiasts. And with a lower starting price than most of its competitors, it's one of the more affordable choices on the market, with more bike-for-your-buck than any of its compeitiors. Come in to Any Scheller's Fitness and Cycling Location today and take a test ride of this great dual purpose bike. 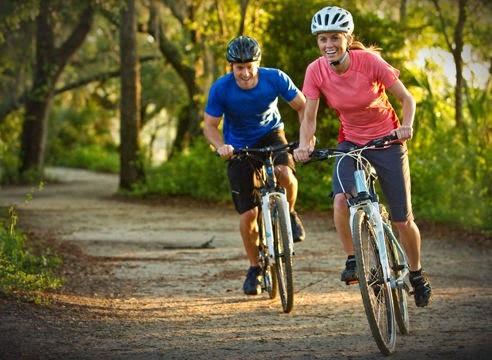 Hybrid bikes supply an excellent, snug ride for any rider, whether or not you're a beginner or a a lot of advanced rider. These incorporate the most effective options of the mountain kind version and therefore the regular road version coolcycling.net.